Wave 4 of Funko's Hanna Barbera Pop! Vinyl Figures includes this great classic character! 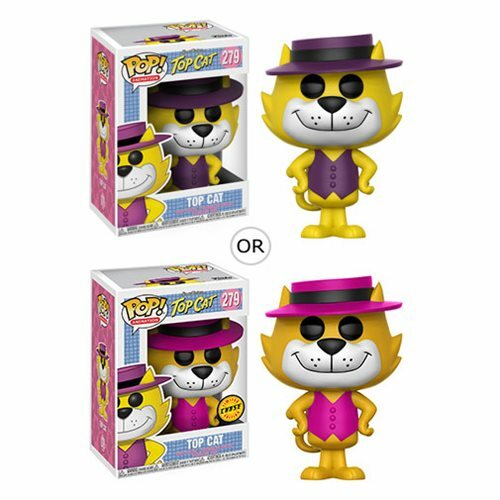 From the popular cartoon series comes Top Cat stylized in the iconic Pop! style. This Hanna-Barbera Top Cat Pop! Vinyl Figure #279 measures approximately 3 3/4-inches tall and comes packaged in a window display box. Ages 3 and up.